Elvia and her husband, Segismundo, were having health issues and didn't feel they had the energy needed to simply take the first step towards improving their well-being. Things were not going in the direction they had hoped and were looking for a major change in their lives. Elvia was approached by a close friend on three different occasions to try Zeal and join Zurvita. She declined because she wasn't sure about working in network marketing and didn't want to spend money, when their finances were tight. Once Segismundo tried the product and felt the Zeal difference, he was ready to enroll. So, Elvia agreed, especially knowing that through a Zeal incentive program, they would able to receive their product for free. They simply had to sign-up four people like themselves, who tasted Zeal, felt the healthy boost of energy, and felt it was just what they needed to see positive changes in their lives. Not long after, the Carreteros attended their first Zurvita National Convention. 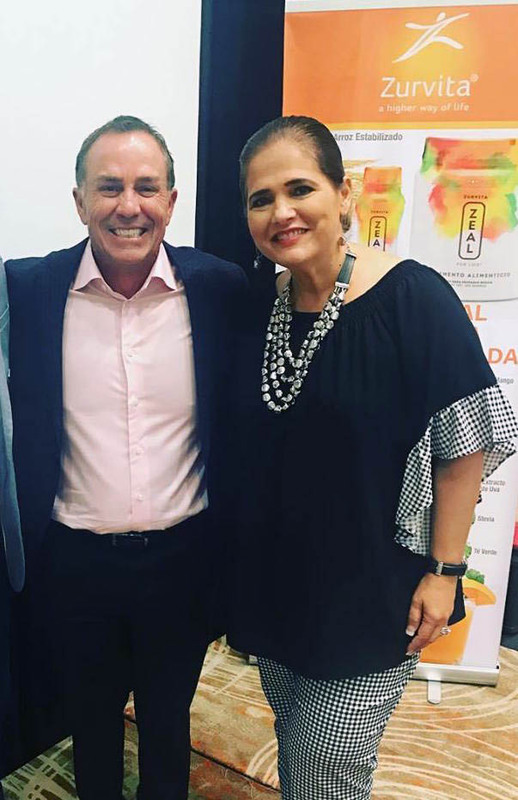 After meeting the founders, Mark and Tracy Jarvis, Elvia and Segismundo both knew that Zurvita was the business opportunity they were looking for. Presently, they are making more money as Zurvita Independent Consultants than ever before. They feel that their greatest achievement to-date is helping others turn their dreams to reality. They love to share their successes with their team. Their three children are also Zurvita Consultants and their youngest son, who still in college, believes he'll soon be as successful as his parents.